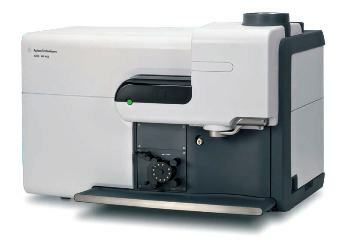 Agilent Technologies offers the latest microwave plasma-atomic emission spectrometer called 4200 MP-AES. The system is safer, cost efficient, and has excellent sensitivity. Other features include detection limits down to sub ppb levels, no combustible gases, and a speed that goes beyond flame atomic absorption (AA). The 4200 MP-AES is a revolutionary technology that allows users to perform unattended analysis on a wide range of samples. It comes with a wide range of accessories to adapt it for an extensive range of applications. Accessories include multi-mode sample introduction system (MSIS), SPS-3 autosampler, OneNeb inert nebulizer, and external gas control module (EGCM).